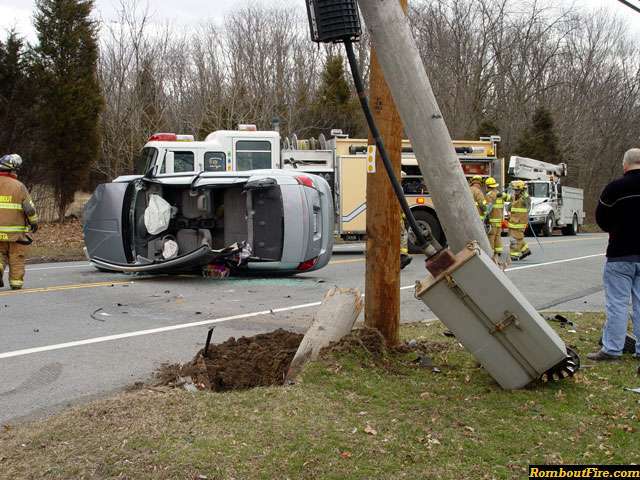 FISHKILL–Thursday, March, 20, 2008, around 1640hrs Rombout fire was dispatched to rollover auto accident on Route 52 in front of Fishkill Glen condos. 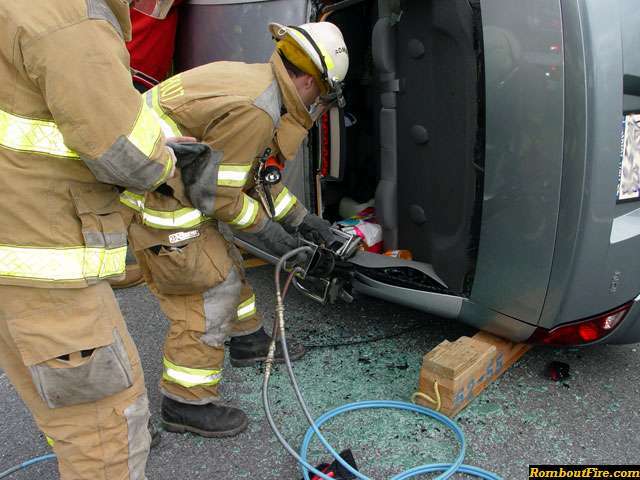 One victim was extricated from the vehicle. The victim was transported to St. Francis Hospital by Alamo ambulance. 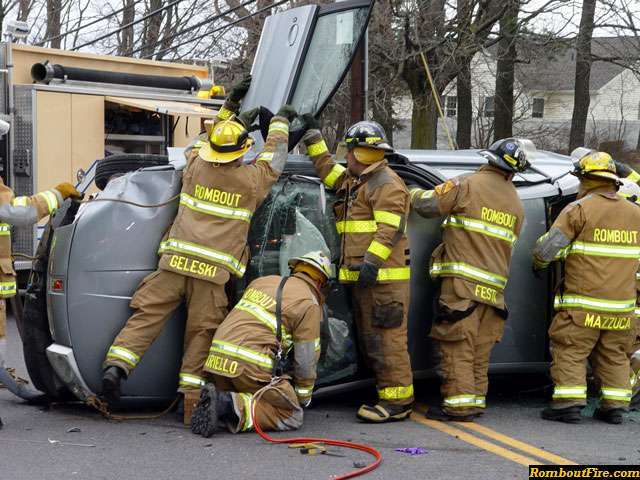 Town of Fishkill Police are investigating. Photo credit: Robert Reynolds Jr.